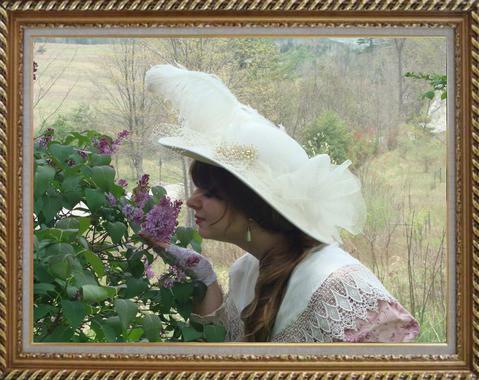 Become the host or hostess of your own Victorian Tea Party or Red Hat Luncheon at the Beautiful Hegarty Mansion. 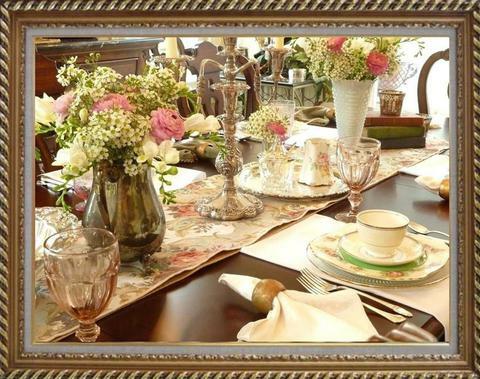 "Take a step back in time" and enjoy the warm and inviting atmosphere of the 27 room Mansion. 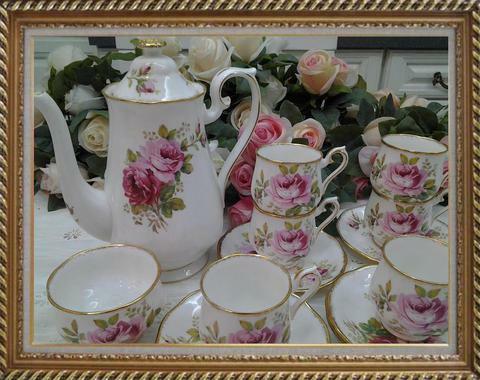 Appreciate the beauty of the Mansion's fine antique linen and dinner-service along with a beautiful selection of vintage tea pots for you special get together. 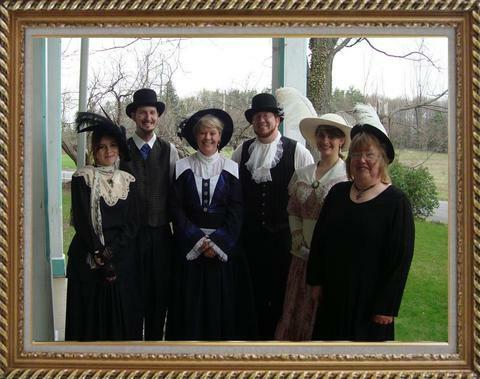 Our Victorian dressed attendants will be sure to make your afternoon Tea Luncheon a memorable event for you and your guests. 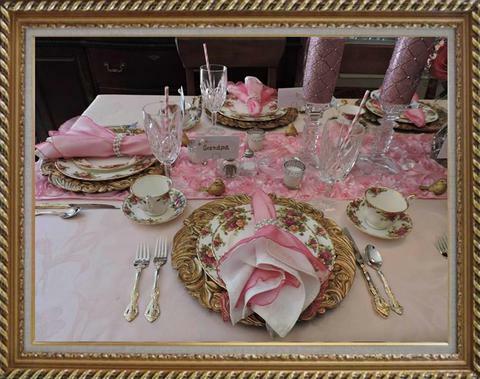 Your Luncheon date will consist of a 4 hour visit so your are sure to have plenty of time to have some lunch, take a tour and relax a bit in one of our parlors. 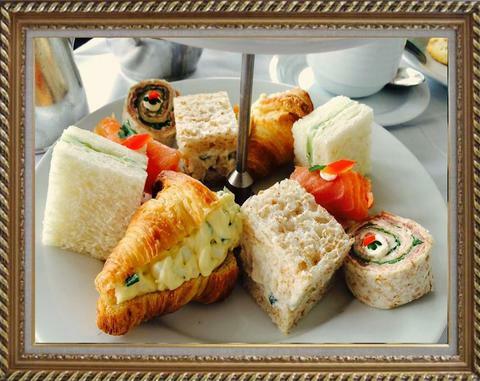 Traditional Earl Grey Tea, a variety of fresh baked muffins and scones. 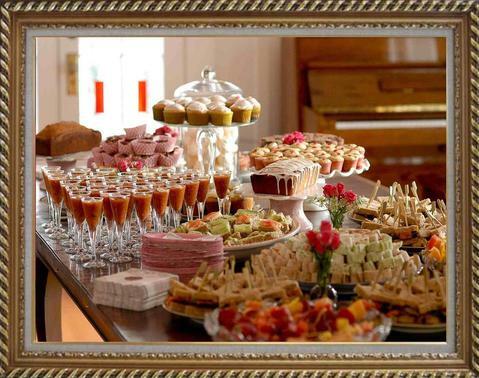 Smoked Salmon, Egg salad or Cucumber Tea sandwiches will be served along with a wonderful selection of additional sweet delights. We can accomodate 10 guests in our dining room and up to an additional 8 guests in an adjacent room. The guests can mingle and move between the three rooms on the first floor. 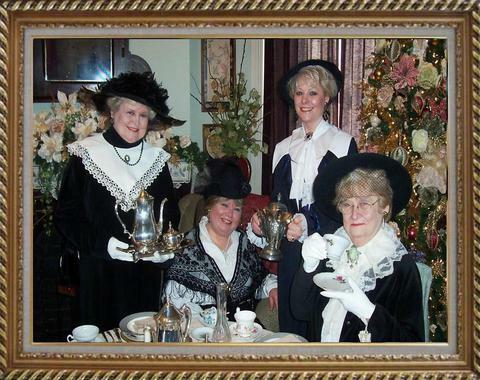 $24.95 per person includes a 4 hour Luncheon Tea party and a tour of the Hegarty Mansion. A minimum of 15 people are required to make a booking. A three week notice is required and payment is due at time of booking. A 40% Cancellation fee is charged for cancelling a booking date. Dates are booked from January 1st to July 1st. Adults only please, sixteen and above. 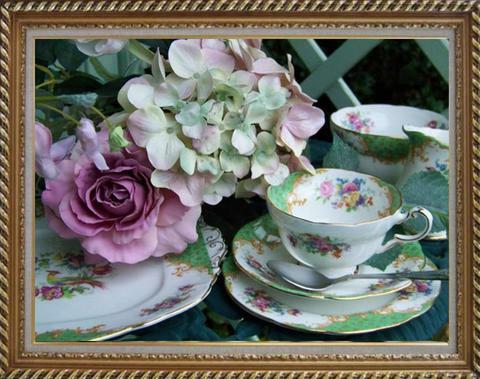 Any special set up and clean up of your items is included in the four hour rental time. Please no early set up arrivals or late clean up. Unloading may be done at our main driveway and supplies brought in at the rear of the Mansion, however all cars must be moved and parked in our parking lot across the street during the event. 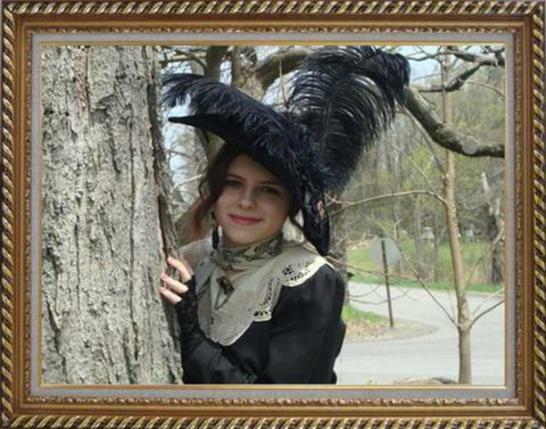 We encourage our guests to wear Victorian attire or hats and have some fun! Enjoy the music and the calming atmosphere of the Hegarty Mansion. 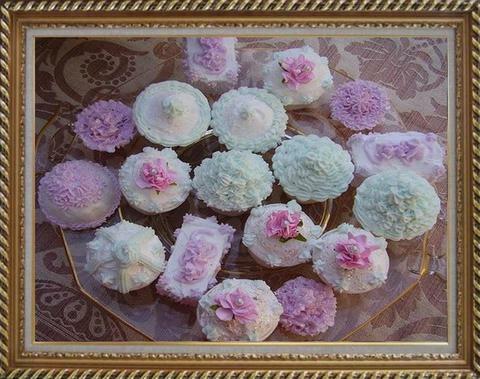 A perfect gift for Birthdays, Anniversaries and other special occasion. 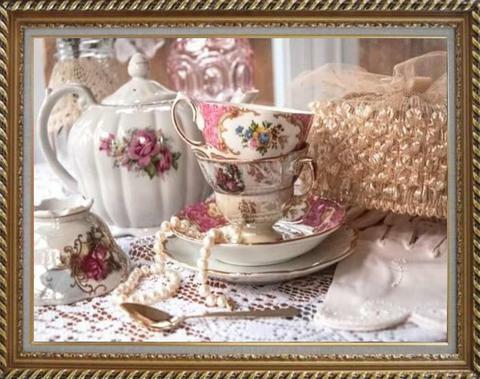 Gentlemen don’t be afraid to join you significant other to our tea parties. 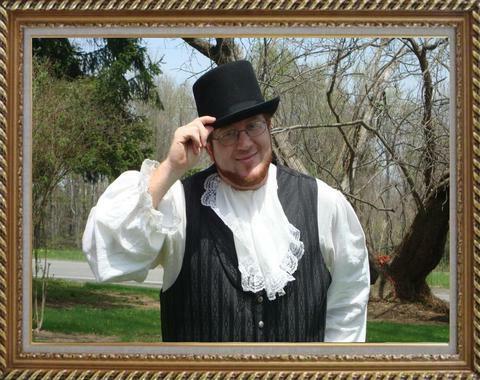 Most gentlemen who have visited are delighted with the architecture and quality workmanship of the Mansion and truly enjoy the entire experience!